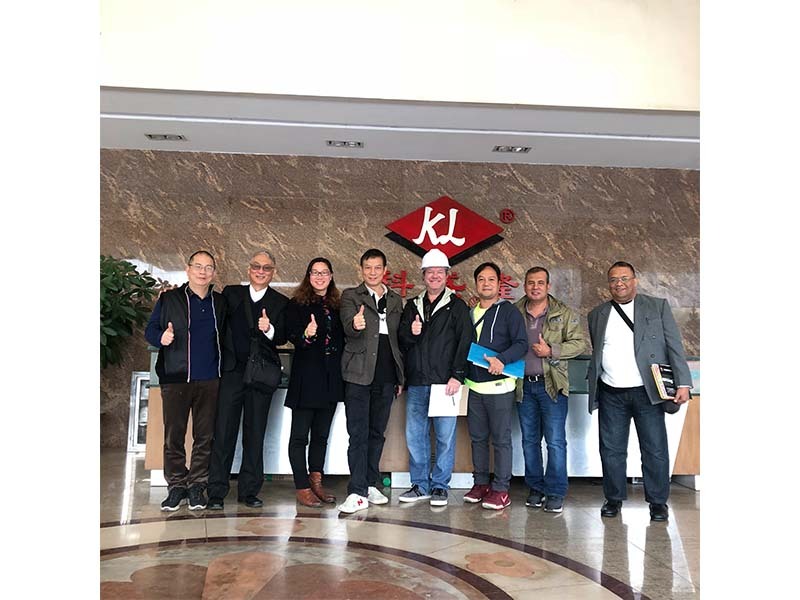 In January 7th, 2019, our American clients coming to have a visit of our company. We took them to our factory and have a visit, showing them our different model of the corrugated box printer slotter machine(corrugated box printing slotting machine), such as the fixed structure machine of Model k8, top & bottom printing machine of Model K7, HD flexo printing machine of Model K6, economical machine of Model K4, Shinko Super Alpha from Japan, Jumbo size machine of Model K1 and corrugated carton flexo folder gluer of Model KL. In the meantime, clients visit our factory can not only see how we manufacture the corrugated cardboard sheet making machine and how to assemble the spare parts together but also see the whole process of the machine printing and making, which is definitely an incredible and reliable experience for them. It’s 100% worthy for the trip to Keshenglong! Seeing is believing! As long as you are interested in the corrugated box printing machine and have purchasing plan, welcome you to Keshenglong!